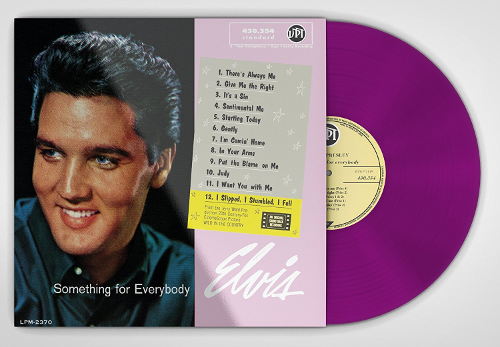 The French VPI will release a pink vinyl edition of the "Something For Everybody" album on November 28, 2016. This edition is limited to 1000 copies and contains master and alternate versions. Side B: Gently (Take 3) - I´m Comin Home (Take 3) - In Your Arms (Take 1) - Put The Blame On Me (Take 1 & 2) - Judy (Takes 2 & 3) - I Want You With Me (Take 1) - I Slipped, I Stumbled, I Fell (Take 8 & 9).